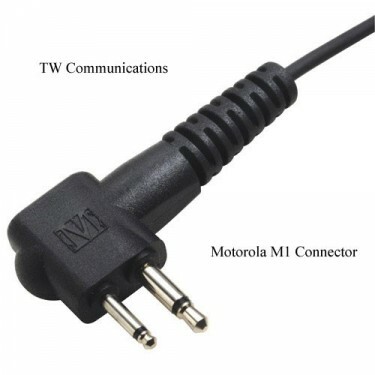 The HM-100/M1 is a light weight robust speaker microphone for the Motorola GP300. The HM-100/M1 is a light weight robust speaker microphone for the Motorola GP300. It has a lapel mounted clip which rotates 360 degrees. A 3.5mm mono socket is also fitted for the use of external earpiece. AP10, AP50, AP73, AXU4100, AXV5100, CB PRO, CLS1110, CLS1410, CLS1413, CLS1450, CLS1453, CLS446, CP040, CP10, CP100, CP110, CP125, CP140, CP150, CP160, CP180, CP200, CP50, CT150, CT250, CT450, CT450·LS, DTR2430, DTR2450, DTR410, DTR510, DTR550, DTR620, DTR650, EP450, GP2000, GP2000S, GP2100, GP300, GP308, GP3188, GP350, GP3688, GP600, GP63, GP68, GP68 Plus, GP68·8, GP88, GP88S, GTX LTR Portable, GTX Portable, GTX Privacy Plus Portable, HandiePro euro446, HandiePro SRBR, LTS2000, Mag One A8, Mag One BPR40, Pacer, Pacer Plus, P020, P030, P040, P080, P110, P1225, P1225·LS, PR400, PRO1150, PRO2150, PRO3150, PTX600, RDX RDU2020, RDX RDU2080D, RDX RDU4100, RDX RDU4160D, RDX RDV2020, RDX RDV2080D, RDX RDV5100, SP10, SP21, SP50, SP50 Plus, SP66, Spirit, Spirit HP Series, Spirit M Series, Spirit PRO, Triton Marine, VL50, VL130, XTN446, XTNi, XTNi·D, XTX446, XU1100, XU2100, XU2600, XV1100, XV2100, XV2600, etc.